A young girl that thinks she is Death stumbles through life as an ordinary human, and her attempts to return to the realm of death send her to the psychiatric ward. She makes a friend there and soon discovers that life can indeed be worth living. 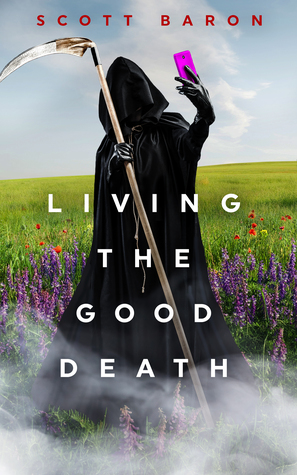 I thought the idea of an incarnate Death would be a fun one, especially with the cover art of Death taking a selfie. However, the psychiatrist was the "bad guy" of the piece, and the psychiatric ward was painted in the worst light possible. Even ECT was used as a weapon, and this is already a treatment that scares people. This soured me somewhat on the book, and the awkward way the girl was continually referred to as "the girl that thought she was Death" was really awkward to read. The plot was fairly predictable, and the brightest parts of the book were seeing how Death/Dorothy interacted with others. There were some questions that were never really answered (Was that really Pestilence? What's the deal with Curtis?) that I would have liked to see more about.